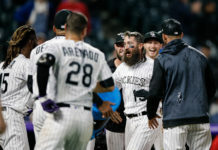 The Rockies are in good spirits after coming off a sweep of the Yankees and winning eight of their last 10 games. Colorado is now one game under .500, and they have closed the gap of the wild card race just to three. The Rockies look to stay hot as they travel to Miami in all-white to start their six game road trip. 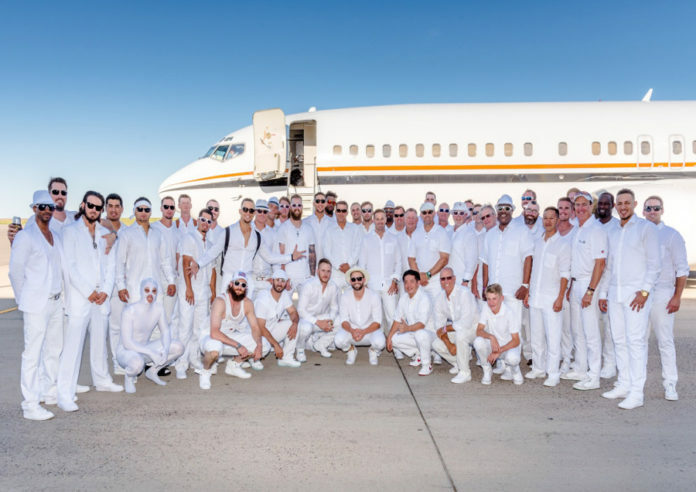 The team was quickly compared to the Backstreet Boys, with Christhian Adames, Carlos Gonzalez, Gerardo Parra and Carlos Estevez posing like a classic 90’s boy band. 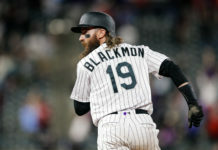 There were also some other stand outs, as Charlie Blackmon sported overalls, Tony Wolters had a tight-fit onesie on and Daniel Descalso rocked light-up tennis shoes.